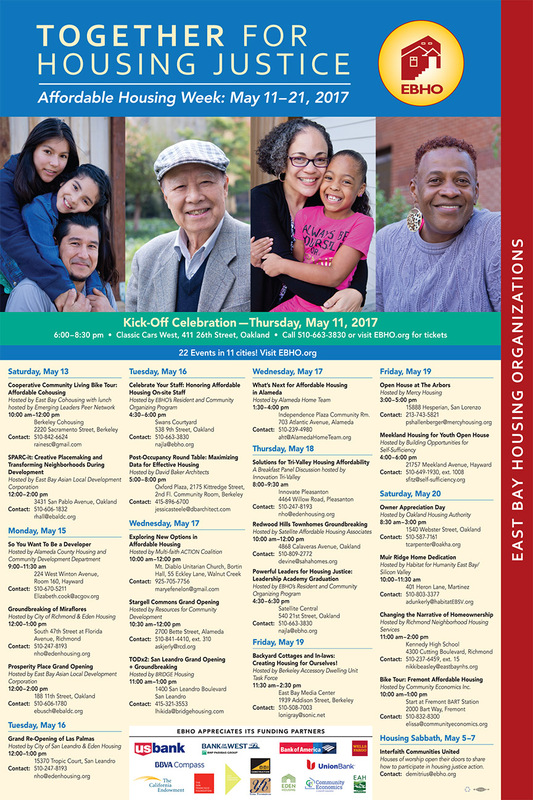 Affordable Housing week is coming up and CMFNH participants in the East Bay are hosting some exciting events. Check out some of the innovative panels, workshops and discussions below. View the event calendar here and visit www.EBHO.org for more information. EBALDC will share with developers and communities a new approach to development. Hear firsthand how the activities that happen on site could inform how the eventual development will be formed, particularly with an eye toward commercial retail spaces and communal spaces. Post-Occupancy Evaluations (POE) provide a rich opportunity to learn from past successes and missteps. Hosted by David Baker Architects, This panel and round-table discussion will investigate a range of approaches and discuss the sensitivities, challenges, and benefits of collecting data about existing buildings. Participants will share and learn methods by which multi-family building developers and owners can learn from past projects how to innovate their process to the direct benefit of residents, operators, and staff. 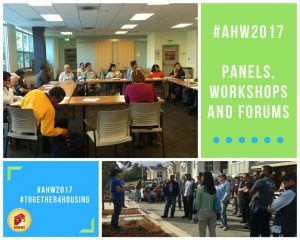 May 17th: What’s next for Affordable Housing? Hosted by Alameda Home Team and the League of Women Voters of Alameda. Lend your voice to the conversation, as guest speakers address current challenges for funding, how the community may get involved in the implementation process of Alameda County Measure A1, why is the State Housing Assessment report is so important, and the status of current City of Alameda projects that have been approved but are still pending. 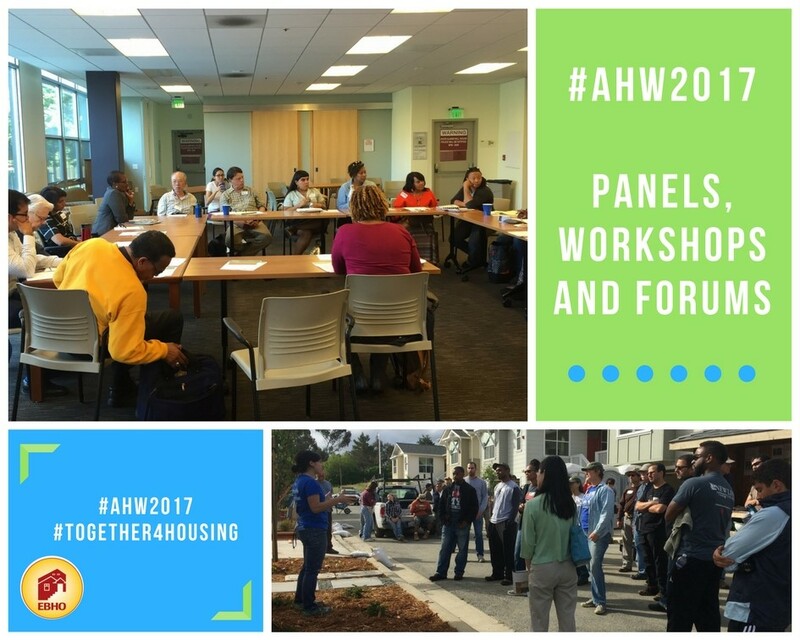 May 18th: Solutions for Tri-Valley Housing Affordability. Join Eden Housing in a panel discussion on how to alleviate the growing housing needs of our Tri-Valley workforce. Housing and government professionals will be on hand to provide insight and join in on the conversation!